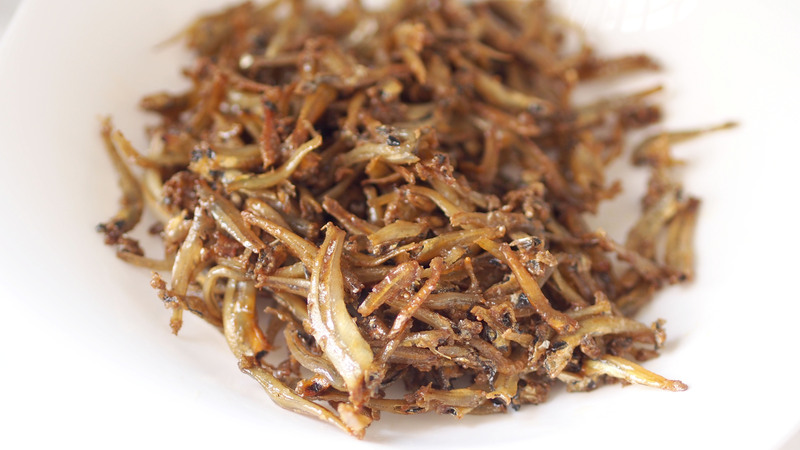 And so , i made a Korean side dish today – Fried Anchovies. It is very easy and seems easy but finding the correct Anchovies is important and correct amount of sauce. Chinese anchovies are a little too salty and it will be good if you can get the Korean anchovies which is less salty. Ingredients – Korean anchovies , Korean Soy Sauce, Rice Syrup and Sugar. 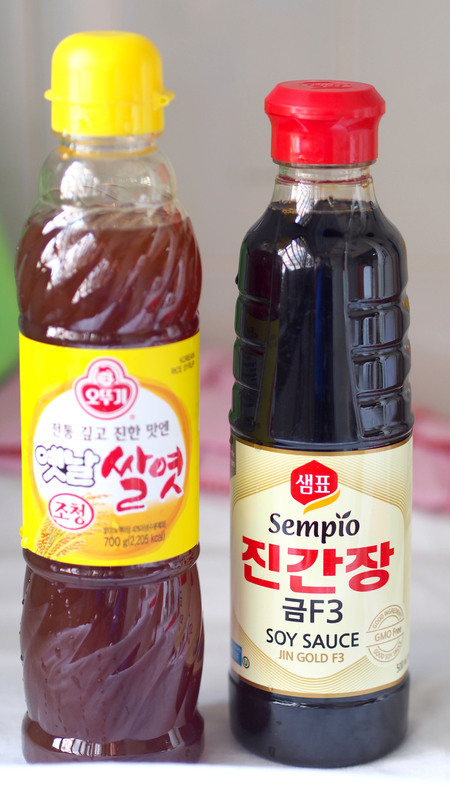 Right – Korean Soy Sauce. 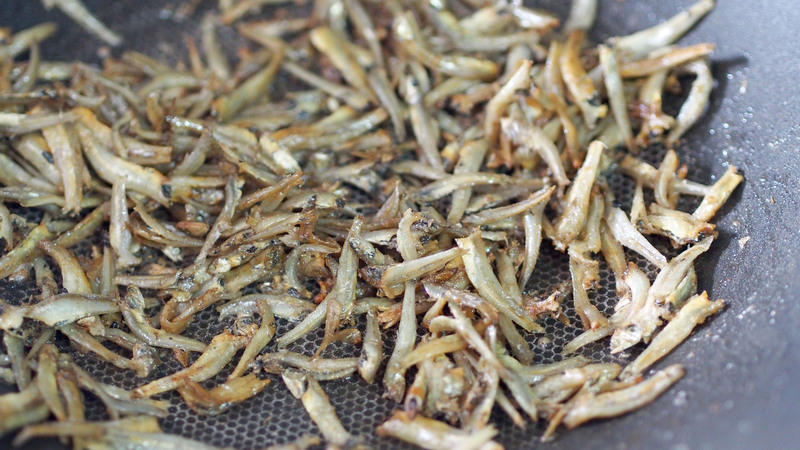 Oil your pan and fry the anchovies. Add 1 tea spoon of soya sauce. I will suggest that you add bit by bit and taste to see if it is too salty. 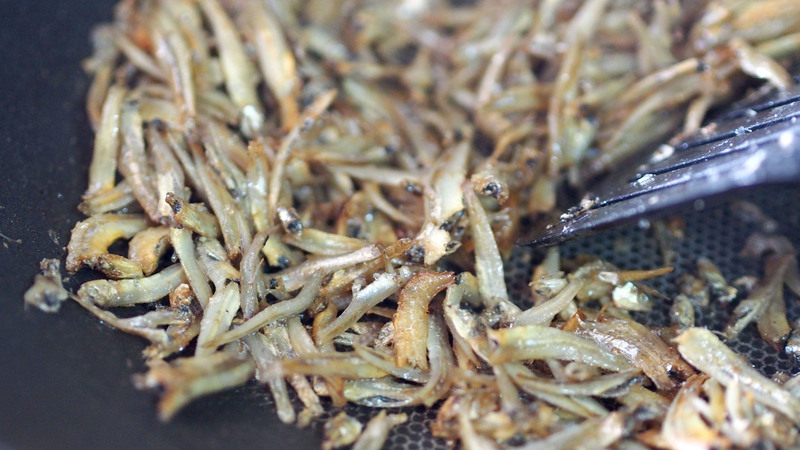 Some Chinese anchovies are really salty already and you may want to cut down on the soy sauce. Fry at low heat. Till it turned abit golden brown , add 1 tbs of rice syrup and 2 tbs of sugar. Mix the syrup and sugar with the anchovies. It should turn abit sticky. If you want , add some Korean chilli paste with it. Easy and just took me 5 minutes to get it done. You can keep it in the fridge in a sealed tupperware and eat it over a couple of days. This entry was posted in Korean Food Recipe and tagged Korean, korean food.